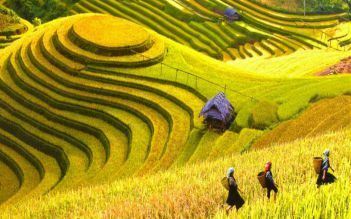 Mon Chéri Cruises have designed a spectacular program of three days-two nights to explore three untouched areas of Halong Bay, Lan Ha Bay and Cat Ba island which are not usually frequented by other tourists. We have the deepest knowledge about cruising in the area gained from years of experience. With Mon Chéri Cruises, you will be pampered while exploring the hidden charms of the bay, enjoying the amazing scenery and pristine beaches that you can find nowhere else on earth. Kayaking, Biking, Cooking class, Tai chi exercise, Bamboo boat, Squid fishing. 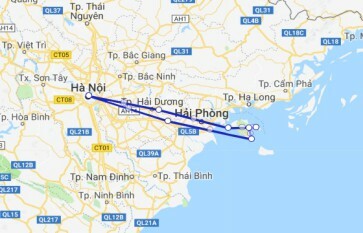 9:00-9:30: Optional bus will pick you up at your hotel in Hanoi Old Quarter and we will then proceed to the highway directly to Cat Hai Port in Hai Phong city for the cruise. 9:30: Visit Cat ba island. You are taken by bus to visit Trung Trang Cave, the most beautiful stalagmite and stalactite cave, located in Cat Ba National Park. Mon Cheri Cruises - Ha Long Bay / Lan Ha Bay Fabulous 5 Star boat and crew. The food and service was first class all the way. Larger rooms with private balconies make this boat very comfortable. Great crew top class ship food fabulous you need to do 3 day 2 night .Only thing I could say that would make it better & this comes from other guests I spoke to was the bat cave not worth it & to much time spent at fish farm that all the people we were with wanted more time on thebeachs & paddling in kayaks to beach’s . We booked the 3 day 2 night trip and it was absolutely worth it to stay for the full length. The activities were both relaxing and fun (biking, swimming, kayaking etc)! Of course the staff was very friendly and in general very young & accomodative. We were sceptical at first if a cruise trip is for young people but we were quickly convinced! Nature is absolutely stunning! 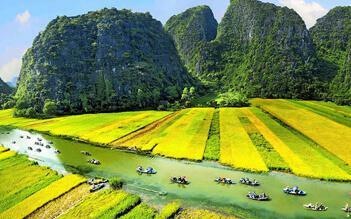 Dear couples traveling through Vietnam! 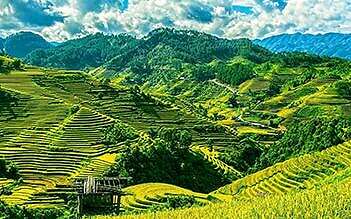 You started in Hanoi, continued in Sapa and you are happy but a bit exhausted and need to chill? Then I highly recommend you to stay on this boat! The crew is so extremely nice, felt so welcome all the time! We booked the Mon Cherie Suite and the Room was just beautiful! Unfortunately room 301 is exactly above the engine which makes it a bit noisy! They offered us a free upgrade to escape the noise but since we were to lazy to pack we just stayed :) Everything is well organized and if you feel to you can join the schedule or just relaxe on the boat! We had a wonderful time on a 3 day/ 2 night with Mon Cherie cruise. After much research this was the cruise we picked. We were not disappointed. The staff is amazingly kind and helpful. The ship is beautiful and the rooms were spacious, clean, and comfortable.